The dream of home ownership lies with many people, but their budgets may not agree with them. Instead, they will put this off for years until they save up enough money to purchase a home under their own name. However, there are ways to get into a home earlier without paying for the entire property themselves. 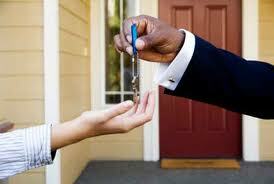 If you purchase real estate using a real estate agreement, it can benefit more than one member of your family. Sometimes, parents, cousins, grandparents and other family members make excellent house purchase partners. Even if you don’t choose to live in the house together, you can both benefit from the rental income and investment value. If you do choose to live in the house together, then you can purchase a larger piece of real estate. This will give everyone their own space and cut the expenses in half. By investing as a team, you won’t be responsible for every small repair and replacement need that comes up. Also, you’ll feel more secure in your home knowing it’s not dependent on your income alone. When you find a property you’re interested in, use a site like Open Offer to negotiate the best price. Then, using the down payment both you and your family members have saved up, you’ll get the best purchase price available. This resource is free to use and available 24 hours a day, accommodating everyone’s schedule. It will be necessary to have all your documentation in order at all times. This should line out exactly who will hold the title and how much ownership each party legally has. It should also document how the equity will be split between the two parties and what kind of sellers’ agreement can be reached later on. To get help with this, you may want to consult with a real estate lawyer beforehand. « Why Should You Buy a Home?